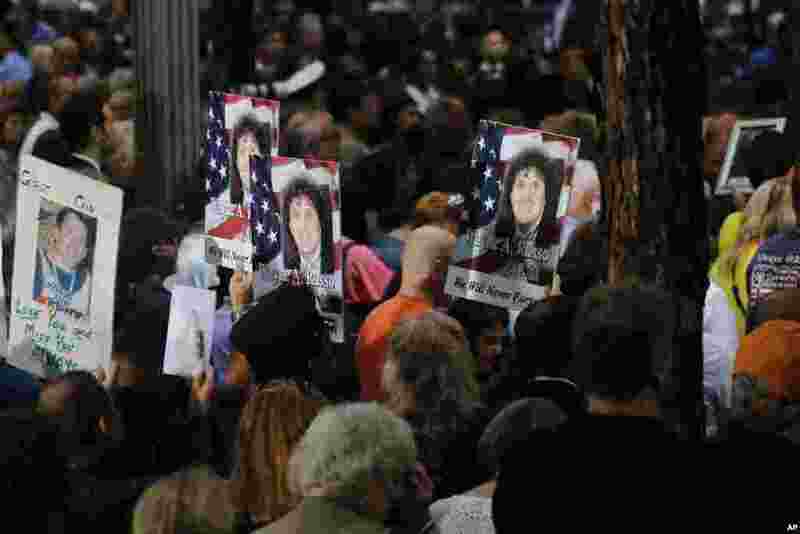 5 People hold up photo memorials during a ceremony marking the 17th anniversary of the terrorist attacks on the United States, Sept. 11, 2018, in New York. 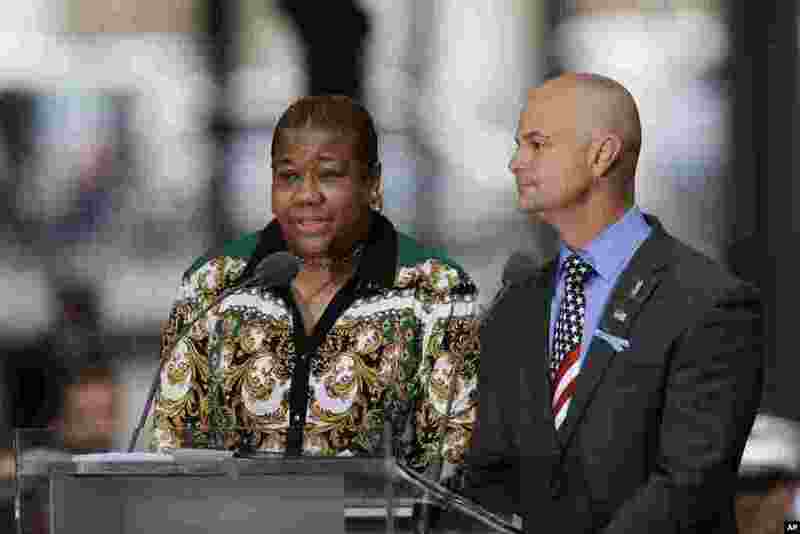 6 La-Shawn Clark, left, and Mark Cannizzaro read names of victims of the Sept. 11 attacks, Sept. 11, 2018, in New York. Clark lost her husband, Benjamin Clark, and Cannizzaro lost his cousin, Brian Cannizzaro. 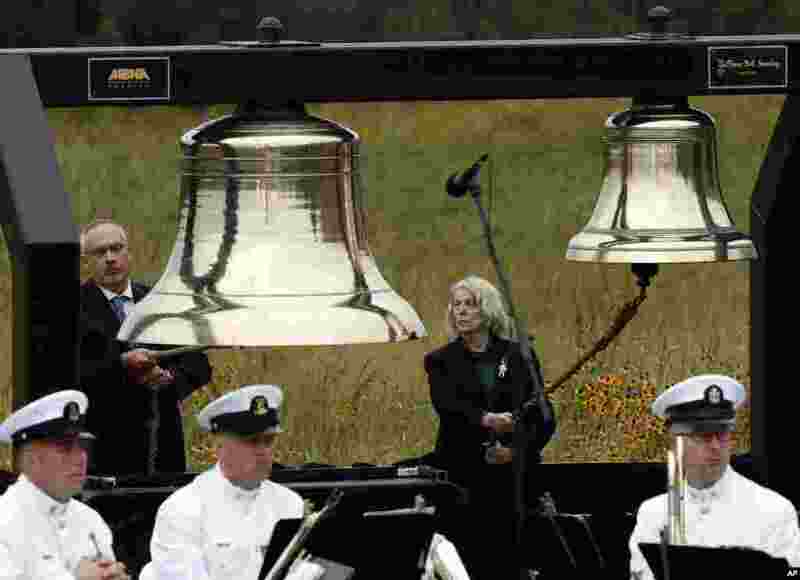 7 Bill Anders, left, and Sharon Custer ring bells as part of the Name Presentation and Ringing of Bells Remembrance during the September 11th Flight 93 Memorial Service in Shanksville, Pennsylvania, Sept. 11, 2018. 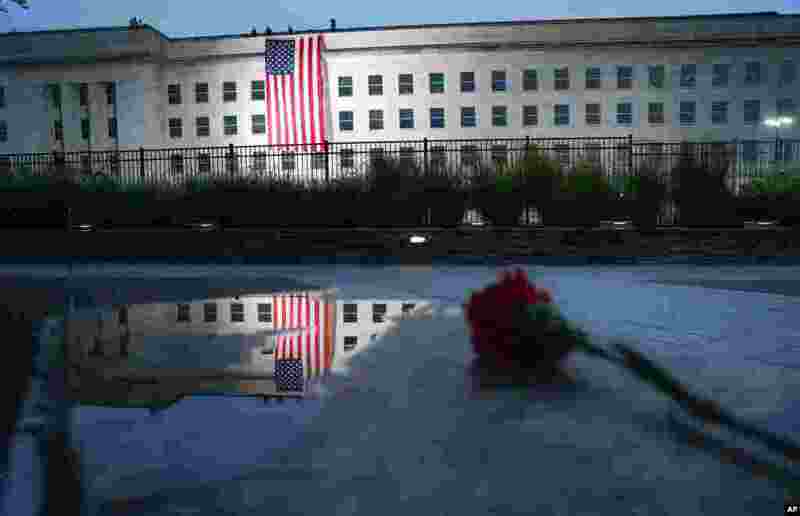 8 A U.S. flag is unfurled at sunrise on Sept. 11, 2018, at the Pentagon.